India is the second largest Democratic country. India governs by representative democracy where citizen elect their leader's to rule the country. Shri Narendra Modi government was formed after the 2014 general election. The "Modi" government has came up with various useful sachems for welfare of India. These scheme are providing various facilities to Indian citizens. 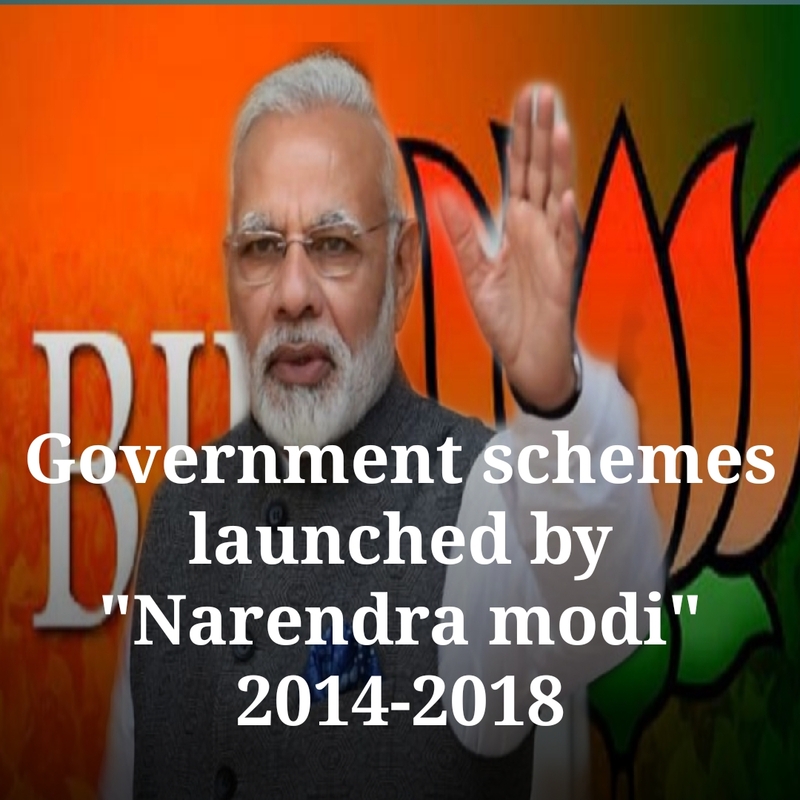 Today we are going of make you aware about government schemes in India launched by Narendra Modi government. Here we have list of government scheme. 'Make in India' program was launched on September 25, 2014 to encourage companies to manufacture their product in India. 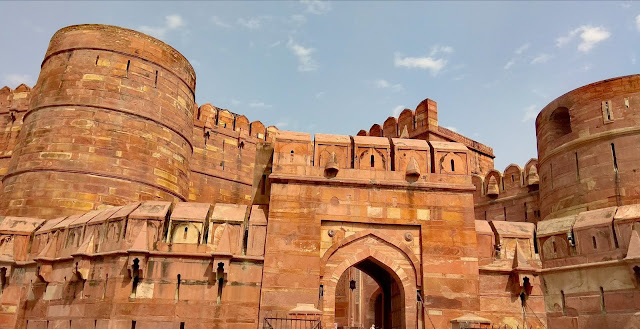 Foreign direct investment was increased up to 100% and also policies were design in such way to attract multinational companies toward Indian Economy. 'Pradhan Mantri Jan Dhan Yojana' is a national mission to enhance the access of people in financial services providing by government such as Banking etc. The scheme was launched on August 28, 2014. 'Pradhan Mantri Jeevan Jyoti Bima Yojana' is government life insurance scheme. It was launched by Indian prime minister Narendra Modi on May 9, 2015. 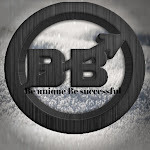 The availability of this scheme is to people who are in 18 to 51 years of age in India. 'Pradhan Mantri Suraksha Bima Yojana' is a accidental insurance scheme launched by Government of India on May 9, 2015. The availability of this scheme is to people who are in 18 to 70 years of age in India. 'Atal Pension Yojana' is a pension scheme launched by Indian government on May 9, 2015. The Atal Pension Scheme (API) was launched to provide a life-long pension to workers and workers working in the unorganized sector. 'Pradhan Mantri Sansad Adarsh Gram Yojana' specifically focus on To improve the condition of the villages of India. It was launched on October 11, 2014 by the Prime Minister of India, Shri Narendra Modi . 'Deen Dayal Upadhyaya gram Jyoti Yojana' launched with the aim to provide continuous electricity supply to rural India . It was launched on September 25, 2014 by the Prime Minister of India, Shri Narendra Modi . 'Uddan' scheme launched with the aim to provide skills development training and enhance the employment for youth of Jammu and Kashmir. It was launched on April 27, 2017 by the Prime Minister of India, Shri Narendra Modi. 'Skill India Programme' was launched to start skill development at a growing level and make India capital of human resource. It was launched on July 15, 2015. 'Digital India' is a government campaign launched with the aim to connect Indian citizens through mobile and Internet facilities. It was launched on July 15, 2015. 'Swach Bharat' is a government campaign launched by Narendra Modi on the birthday of India's national father Mahatma Gandhi to make India clean. It was launched on October 2, 2014. 'Pradhan Mantri Awas Yojana' launched by Narendra Modi government with the aim to provide affordable house to urban poor people. It was launched on June 25, 2015. 'Stand up India' scheme was launched to provide entrepreneurship among women and SC, ST community. Under this scheme government will provide loan on affordable price to start business. This scheme was launched on 5 April, 2016. 'Pradhan Mantri Gram Sadak Yojana' launched with aim to connect 2000 villages to cities. Government had planned to constructed all weather sustainable road to connect Indian villages with cities. It was launched on December 25, 2000. 'National Career Service India' aim of this scheme to provide employment to unemployed citizen of India. It was launched on 25 July, 2015. 'Beti Bachao Beti Padhao' is a campaign launched by government of India to decrease the girl infant mortality in India. It was launched on January 22, 2015. 'Sukanya Smaridhi Yoajana' It's a part of 'Beti Bachao Beti Padhao' campaign launched by government of India . under this scheme government will provide high interest rate of 8.10% and tax benefit to girls family. It was launched on January 22, 2015. 'Indhradhanush' scheme was inaugurated by the Prime Minister. The main goal of the mission Indhradhanush Yojna is to complete vaccination of children up to two years and pregnant women. It on was launched 25 December, 2014. 'Kusum' is government scheme to promote use of solar power in India. Kusum ( Kisan Urja Suraksha Evam Utthaa Maha Abhiyan ). It was launched on February 2, 2018. 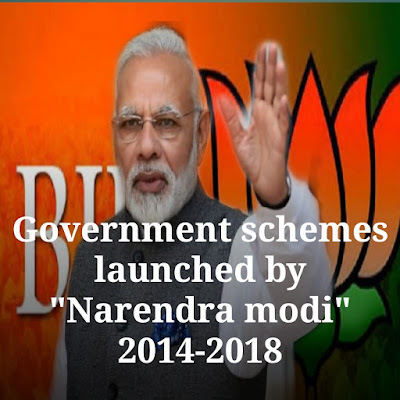 We hope that this article "List of Government schemes in India launched by Narendra Modi 2014 to 2018" will help you to know about the schemes launched by Narendra Modi ( BJP) government.